Aadhar is a 12 digit identification number which never starts with 0 or 1. Aadhar number is a unique identification number. It is generated or issued by UDIAI (unique identification authority of India). 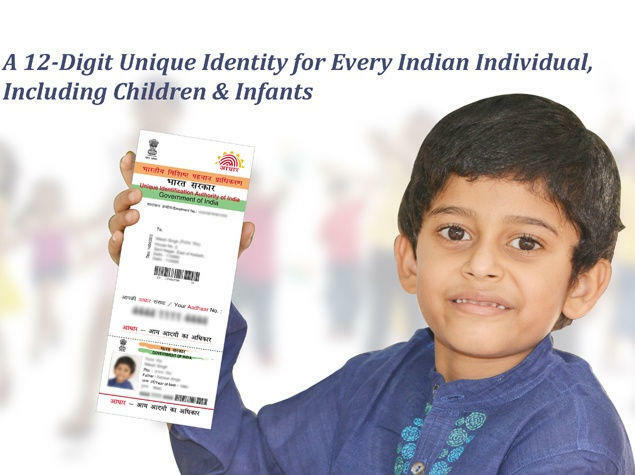 Aadhar number is provided only to the residents of Indian nationality. UDIAI started issuing aadhar card to Indian citizens from September 2010. Aadhar card works for both identification and residential proofs. As earlier (before aadhar card) every individual has to carry different paperwork, documents, records as a proof for their identification, like pan card, water bill, electricity bill etc. It was a tedious task to carry all the paperwork, documents at different places. Aadhar number is a unique identification number which is necessary for every Indian citizen. Aadhar card is a digital identity as the document of the card itself in a PDF format. The procedure of downloading aadhar card online is very easy. You just need computer, internet connection and you aadhar number. It is essential to have your aadhar card number to download it. .1 visit e-aadhar website www.uidai.govt.in (the official website for aadhar card). .2 view the section 'aadhar enrollment' and enter your aadhar number or enrollment number. .3 then fill other details, such as name, pin code, mobile number etc. .4 click on ' get one time password '. .5 you will receive the password on your phone via text message. .6 input the otp (password) and click on ' validate and download'. .7 the e-aadhar card will be downloaded on your computer in a PDF format. To open the e-aadhar card, you will have to enter a password as the file is password protected. The password will be your PIN code. Aadhar number or enrollment number is compulsory to download aadhar card.In case, you lost your enrollment number or aadhar number then you can download your e-aadhar card with your name and date of birth. .2 fill all the details name, address, mobile number etc. .3 click on ‘get OTP' button (after verification you’ll get your otp). .4 enter otp and click on submit button. You’ll receive an email with your enrollment I’d. .5 once you receive aadhar enrollment number then you can download it by following the steps mentioned before. Last date to link aadhar card is December 31.